A visa broker who partnered with Jared Kushner to recruit Chinese investment for a Trump-branded tower also directed one of America’s worst charities. 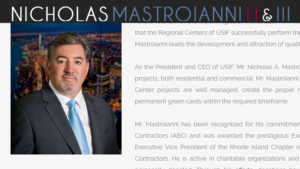 Florida businessman Nicholas Mastroianni II partnered in 2012 with Kushner Cos., where Kushner was CEO, to raise tens of millions of dollars from Chinese investors through a visa-for-sale program called EB-5. The money was for the 50-story Trump Bay Street apartments in Jersey City, New Jersey, named under a licensing arrangement involving Donald Trump. 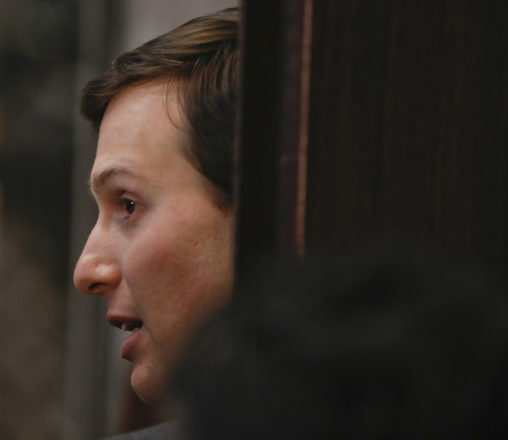 Recent media reports have focused on Kushner’s decision to retain a personal investment stake in the building even while joining his father-in-law’s White House and the checkered past of Mastroianni, a visa broker with a history of legal problems, failed ventures and unpaid debts. Before that, Mastroianni appeared on the list of America’s Worst Charities compiled in 2013 by The Center for Investigative Reporting and the Tampa Bay Times. The United Breast Cancer Foundation was No. 35 on the list, which raised $12.7 million as of 2014, yet spent $7.2 million of that amount on professional fundraising consultants. Only 6.3 percent of donations went to direct cash awards for cancer-related causes. The list of the nation’s 50 worst charities ranked organizations by how much they spent on outside fundraising. 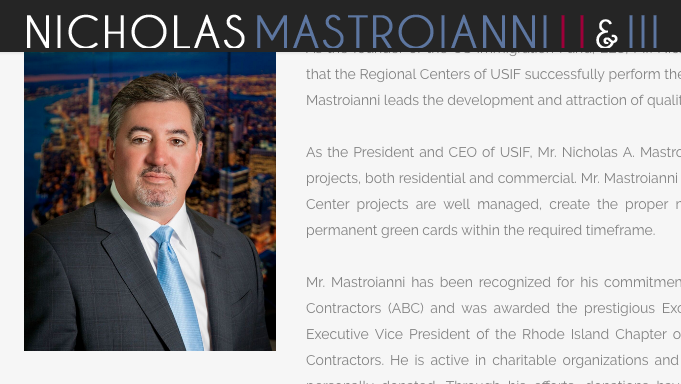 The United Breast Cancer Foundation is governed by the Mastroianni family and had no independent board members. On its website, the foundation charged $50 for people to apply for its grants for breast reconstruction. At the time, the charity’s director of operations, Beth Reichart, said its efforts were focused on hands-on programs and education. She blamed the high overhead on fundraising consultants. “It would be wonderful if our government agencies championed on behalf of nonprofit organizations, ensuring greater fund retention,” she said. Matt Smith can be reached at msmith@revealnews.org. Follow him on Twitter: @SFMattSmith.